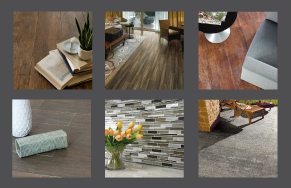 your ceramic tile surfaces looking their best. the grout and the glazed surface of the tile, and ammonia can discolor the grout. neutral pH cleaner. If a cleaner is used, be sure the surface is rinsed thoroughly with clean water and dried. mildew designed for everyday use, can be used on wall tile areas in residential baths and showers. ph cleaner can be used (abrasive cleansers could cause scratching to shiny tile). Glass tile - routine care & maintenance use a glass cleaner and a soft lint-free cloth for cleaning glass tile. To remove soap scum or water deposits a minimally abrasive cleanser and soft bristle brush can be used. damage the surface of your tile.